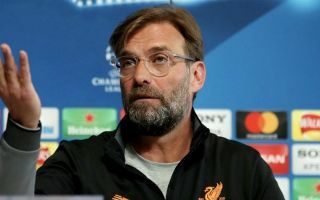 Liverpool manager Jurgen Klopp has revealed one major regret from this summer’s transfer window after what looked a very successful preparation for the new season. The Reds invested heavily in their squad with time to spare, bringing in Alisson, Xherdan Shaqiri, Fabinho and Naby Keita as quality additions all over the pitch. This looks hugely promising for Liverpool after their run to the Champions League final last season, and the successful January signing of Virgil van Dijk. LFC fans will now hope the team is even stronger and more balanced in the right areas to challenge more strongly for the Premier League in 2018/19. However, one player who’s almost been forgotten in all of the excitement is Emre Can, who left the club for Juventus on a free transfer after his contract expired. Klopp admits he has one regret regarding the Germany international, and that’s that he failed to bring in a transfer fee for him. However, Klopp insists he has no issue with Can and it makes sense that he’d be happy enough with his midfield options thanks to the signings of Fabinho and Keita. ‘I have no problem with a player leaving. The only problem I had for the club was that I wanted to get some money: ‘Sign a new contract and then we’ll sell you!’ But that wasn’t really realistic,’ Klopp is quoted in the Liverpool Echo.